You turn on the faucet and water comes out. You don’t have to carry 30-40 gallons of water for a half a mile so your family can drink. You don’t wonder if water will make you or you children sick. You don’t have to be afraid. But over 600 million people around the world face those fears every single day. They suffer from economic depredations, diseases, and death at an unthinkable rate. This is a tragic story, but it doesn’t have to continue. 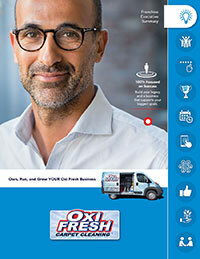 Water.org is fighting to solve the global water crisis with the help of sponsors like Oxi Fresh Carpet Cleaning.